These attractive rugby trophies are made in resin and feature detailed figures of two (male) players in a tackle. 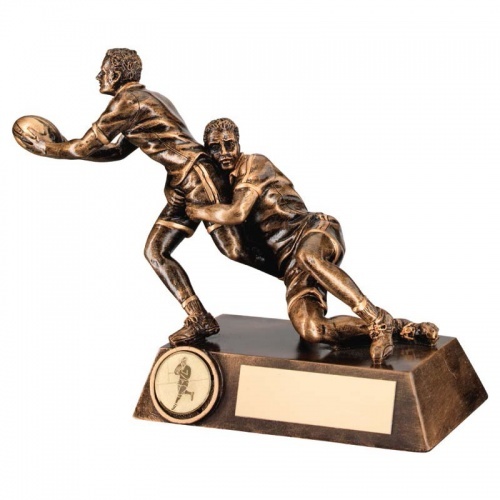 Ideal as a trophy to reward a top tackler in your club or league, they are available in three sizes and offered with engraving of the base plaque. Please note, the size shown refers to the height of these trophies.